The contents of this site is the intellectual property of evAngelosjewellery.com, without prejudice to any rights not expressly granted here. All the copyrights of this website containing evAngelosjewellery.com owned or third parties rightfully concerned. By accessing this website you agree that you abide to these copyright laws. The evAngelosjewellery.com accurately applies the principles of data protection provided by international and European law that regulates issues relating to electronic commerce (Directive 2000/31/EC, DPR 131/2003) and by the Law on Protection Consumer (Law 2251/1994), which regulates matters relating to remote sales and related provisions of Greek law (Law 2472/1997) to protect the individual and the protection of personal data, supplemented by the decisions of President of Personal Data, PD 207/1998, 79/2000, Article 8 of Law 2819/2000 and European law with the directives 95/46/EC and 97/66/EC, explicitly states that it will not make any unauthorized use of your personal data and in no way disclose, publish, sell, lease or exchange your personal data and information you submit to any third party. Your personal information upon your request is deleted and not granted to anyone else in any way. By submitting material to our server, you agree that the material does not contain false, illegal or is in any way unfit for use and publication. To facilitate your access to its website, evAngelosjewellery.com may include links to sites on the Internet, which are owned or managed by third parties and these are themselves responsible for their content. evAngelosjewellery.com has made every effort to display the greatest possible accuracy of the products available with regards to viewing photos, descriptions and specific comments. However, this site may contain errors (typographical, numerical and visualization). evAngelosjewellery.com not guarantee the accuracy or completeness of the depictions and descriptions or reliability of any advice, opinion, statement or other information displayed or distributed through this Site. 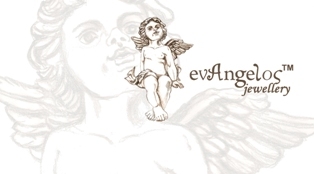 The evAngelosjewellery.com reserves the right to amend or renew the terms and conditions of trade and undertakes to inform the text of any change or addition to the conditions. The product names and company names mentioned in this site network may be trademarks or trade names of their respective owners. Your access to this website should not be construed as granted, by implication, finally or otherwise. Any license or rights to use any marks, logos, images, representations that appear on this website, is not granted without the prior written consent of us or any third party owner them. All prices shown in our catalogs include VAT registration number 23% plus luxury tax. These values relate to amounts that are available in our warehouse while evAngelosjewellery.com reserves the right to adjust prices. For some parts of Greece to which reduced rates of VAT registration number, and if your order is made then an invoice prices are lower than indicated by the reduced VAT registration number. For transactions with credit card payments, the monthly installment is dividing the price of the product by the number of doses you chose, without any additional interest. evAngelosjewellery.com can serve customers from Greece, Cyprus and all over Europe. There is no shipping costs for Greece, for Cyprus it is 22 EURO and all over Europe is 36EURO. For your own convenience we give you the possibility to choose the shipping company. You can chose between ACS Courier(within Greece) to have your order delivered, as well Post office services or you can pick up your order from your local post office. The shipping for Cyprus and the rest of Europe are with EMS (Express Mail Service) of the Greek Post Office. Your order is shipped within 5 working days, depending on the availability of the product(s). If your order can not be completed because of conditions beyond our control e.g bad weather conditions, strikes etc. we will contact you, to see if you wish to complete your order. Please not that for distances over 20 kilometers that is a courier shop as for some distant islands it may be extra charge for choosing ACS courier to deliver to your place. You have the right to cancel the order of your products within 12 hours, either by calling at 2810 22 11 11, or by sending a fax at 2810 22 11 16 or by e-mail at CLOAKING . by Piraeus Bank Pay Center, the reversal (money refund) will be completed within 24 hours by Piraeus Bank Pay Center. If you have paid by depositing money to a bank account, or cash on delivery, the money refund will be completed within 7 working days from the time of the cancellation of order, by depositing the money to your bank account (please note the bank account details should be the same as the order). You have the right to return products purchased within 5 days of the date of delivery, together with original packaging and all papers included as receipt of purchase and/or guarantee etc. In the case of returning the product(s) the refund will be completed within 30 days of receiving the products. In that case you will only pay for the return shipping cost. As for brand name products, the official delegations of Greece for the brands they represent are responsible for dealing with any problem or malfunction that may arise as covered by the guarantee that comes with your product. 2.If the product has not been used further than fitting. 3.By returning all of the accompaniments of the product including original packaging, guarrantee, manual of use, receipt of purchase, all of which are part of the product. 4.If the product has come to you with some kind of a gift, the gift must be also returned as it is part of the product. 5.The shipping of the product(s) within Greece must be sent by ACS Courier or either by registered post or Door to Door service from the Greek post office. Please take care with the package of shipping to be safe and secure so there will not be any damage to the product in the transfer. Please note that evAngelosjewellery.com is not responsible for any loss or damage of the product(s) during the return delivery. The refund will be completed within 30 days from the day of receiving the products. All the transactions made through evAngelosjewellery.com governed by the International and European law that regulates issues relating to electronic commerce (Directive 2000/31/EC, DPR 131/2003) and by the Law on Consumer Protection (N. 2251/1994) regulating matters relating to remote sales.